Court reporters are required to be impartial observers, attorneys are not allowed to have in-house employees or family members perform the service. Experience is key for reporters, they have to be familiar with the procedures, the terms, the rules of court, etc. In court, they have to be certified as well - which requires an additional level of experience. We have a standardized Litigation Package available that fits the majority of need situations. A deposition is a fact finding procedure reported before the case goes to trial. Both the parties to the case as well as witnesses are deposed. This gives the attorneys information on how to proceed, other person who might be deposed, and all the facts of the case from different viewpoints. Depositions are absolutely the most important process for most cases, they help the attorneys decide whether to proceed to trial or make an offer to settle, etc. A good deposition eliminates any surprises in court and helps the attorneys know what questions to ask at trial. An arbitration is an informal trial, instead of a judge there is an arbitrator. In some cases the ruling is binding, and in other cases the decision can be appealed. As an example, many arbitrations are between labor unions and management. Typically arbitration is used as method of attempting to resolve an issue without the lengthy trial process. Testimony is taken and the arbitrator then reviews the arguments that each side makes and uses the transcripts to form the basis of their decision, often citing particular statements from the transcription. A mediation less commonly needs the services of a court reporter, but is sometimes worthwhile. A court appointed mediator sits down with each side and tries to settle the case. Very contentious matters are more likely to need a reporter present to ensure a good record of what was said by each side. For hearings, the court reporter needs to be able to report on multiple people speaking at the same time and be able to distinguish those separate speakers. A good court reporter will be able to take control of the proceedings to some degree in order to ensure an accurate transcript. Governmental hearings, for example, do not necessarily follow an orderly question and answer process. Experienced court reporters will provide a much better record of the hearing. In a civil trial, the judge generally ensures that it is very structured and organized. Trials need a reporter who is familiar with the courtroom structure. With the court reporter shortage, the court is typically unable or simply no longer provides a reporter and so the attorneys have to agree upon one between themselves. Less common, but as an example, stockholder meetings may desire a court reporter to be present in order to ensure an accurate recording. A court report provides a more official and structured account than just a record of meeting minutes. Particularly if something is to be voted on, there may be many arguments recorded for the pros and cons and varying perspectives and having a transcript of the meeting is more valuable than having just a summary. Call us direct at 626-796-1996 or complete our online scheduling request form. This is a fairly common scenario and is standard procedure. Typically when a foreign language is being spoken, we work with an interpreting agency and make the arrangements on behalf of the attorneys. The question is asked in English, the interpreter translates to the witnesses native language, the witness responds in their native language, and then the interpreter repeats it back in English. The court reporter records the English portion and the process is otherwise the same. What if I need to depose someone who's not in the same city? Whenever you need to schedule a deposition in another location, call us, and we will find a reporter in that area for you, as well as a conference room. 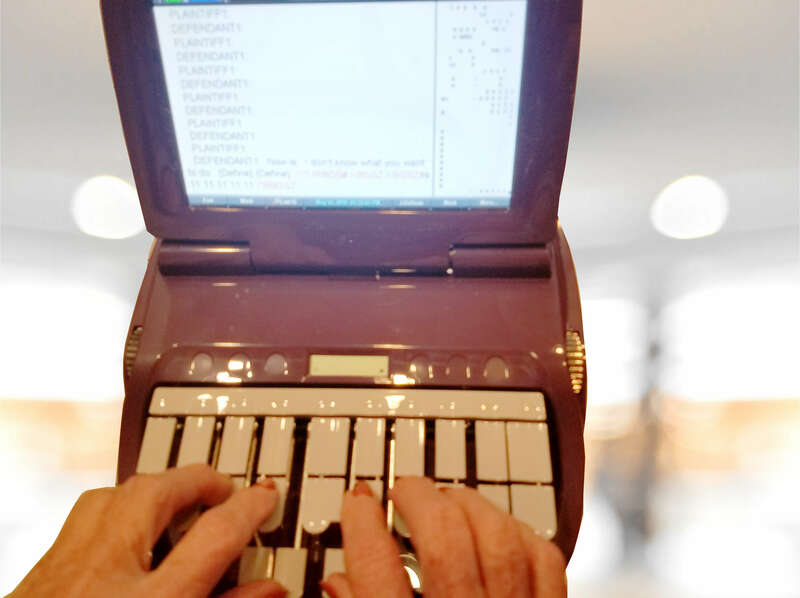 Because of the nationwide shortage of court reporters, many places are either reluctant to or are just simply not working for out-of-town clients. This is a complimentary service that we provide, which saves both the attorneys and their office staff time. Our agency networks with numerous other court reporting firms throughout the United States. Upon completion of the proceeding, we provide the ASCII disk to the requesting firm to incorporate into their production.